Ronnie Corbin is no stranger to developing car washes. His involvement dates back to the pioneering express-exterior days in the mid ‘00s as a franchisee of Rapido Rabbit, the franchise system that evolved into Boomerang Car Wash, which, in turn, was acquired by Zips Car Wash in 2016. All told, he’s had a hand in the development of 37 car washes. 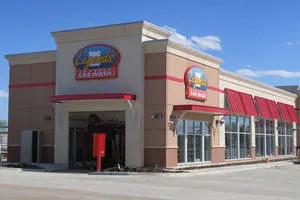 He’s latest project to reach completion is a Legends Car Wash in Arlington, TX — the sixth location of his Texas/Oklahoma chain. Building complete, tunnel equipment installed. Individual modules can be quite large. What sets this Legends wash apart is how it was constructed. 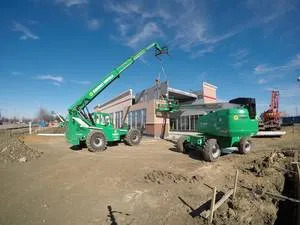 Employing a modular building system enabled site work and production of the building components to take place simultaneously, translating into valuable time saving. 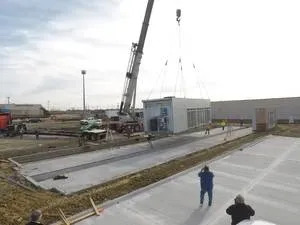 Moreover, the modular units arrived preplumbed and prewired on site and, with the exception of the conveyor tunnel, with all equipment already installed. It took 14 weeks to fabricate, but once delivered to the site the building was completed in 11 days. 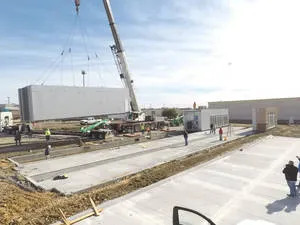 The wash consists of a conveyor tunnel, equipment room, rest rooms, customer service area, full office, safe room, a break room and self-serve vacuum stalls. Stacy Thornberg of Stacy Thornberg Services has done the equipment installation at all of the Legends locations. This was his first exposure to a modular building system; he found it a positive experience. 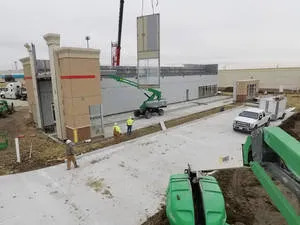 Aside from saving time, Thornberg found the process eliminated many of the difficulties one would encounter with general contractors and their subs that might have limited car wash experience. Walmart and Home Depot have stores approximately half a mile away.